Digital Signal Processing (DSP) can be viewed as the Electrical Engineering Realm where analog meets digital. Often times, desired input signals come in analog form, although many times input signals are in "digital" form (either "ON" or "OFF"). 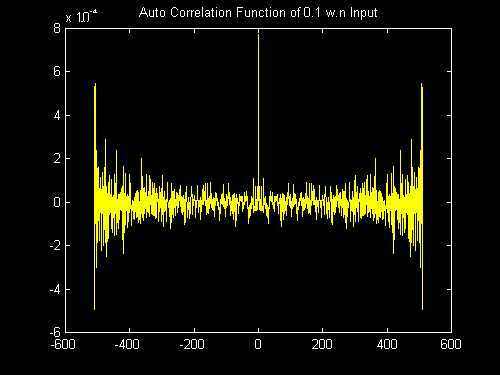 Audio signals, sensor input signals, and position feedback signals are all examples of signals which are often analog in nature. There is a variety of "levels" or "states" that these signals can represent, as opposed to just two states such as "ON" or "OFF." A DSP system will cultivate these signals using a digital process. The digital process can be implemented in the form of discrete digital components, such as AND and OR gates, in the form of one or more singal-chip microprocessors, or in the form of programmable digital devices such as ASIC's, FPGA's, or CPLD's. The implementation can consist of any combination of these. DSP systems allow efficient use of higher mathematical models in developing outputs. These models include differential equations (selective-frequency-pass filters or PID systems), linear algebra (state space systems), or those that are probability-based (Kalman filtering, Weiner filtering, or cross-correlation). DSP also allows outputs to be generated through the use of conditional-driven logic such as if/else statements or fuzzy logic. A digital process by which an input is processed to yield a desired output; filter output requirements are often specified in terms of frequency domain parameters. The output of a digital (or analog) filter when given a short "burst" input. This impulse input, typically denoted h(n) (or h(t) for the analog counterpart), has a magnitude of 1 when n = 0 (or at time T = 0), and has a magnitude of 0 thereafter. The output rendered by the filter after n = 0 (or time T = 0) is characteristic of the filter itself, and is a relatively accurate way of mathematically describing the filter response. The magnitude of the impulse response of a filter will eventually decay to 0. The magnitude of a Finite Impulse Response digital filter will decay to 0 after a finite number of sample periods when subjected to an impulse input. An FIR filter uses only present and past inputs when implemented, is always stable, and exhibits linear phase throughout its frequency response. An FIR filter, however, will require a higher order to achieve the same band-limiting and cutoff transition zone width in its frequency response as its IIR counterpart. The magnitude of an Infinite Impulse Response digital filter will decay to 0 only as n number of sample periods goes to infinity. An IIR filter uses present and past outputs as well as present and past inputs, can become unstable if not properly designed and implemented, and exhibits non-linear phase throughout its frequency response. An IIR filter is generally more efficient in terms of band-limiting in its frequency response than a FIR filter of the same order. Time period between consecutive digital captures of an analog input signal, or between consecutive digital bias-levels of a digital output signal. 1/2 of the Sample Frequency; aliasing will occur above this frequency. The apparent repetition or "folding" of frequencies below the Nyquist frequency to the range above the Nyquist frequency; a soprano singer who has a tone which is higher than the Nyquist frequency at which she is recorded will likely sound like a baritone when the recording is played back. The Z Transform is a basic tool in the realm of DSP. The delay operator "Z" is derived from the Laplace delay model used in the differential equation representation of signals and systems. If one desires to design in the Laplace domain and transform into the Z domain, solving for S requires manipulation of the natural log. Approximations make use of representing the natural log with various forms of a truncated infinite power series. Two useful results are the "Backward-Difference" and "Bilinear" transformations. The backward-difference transformation maps lower frequencies from the S-domain to the Z-domain reasonably well, but is not as successful as the bilinear transform for high-pass and band-pass filter mapping from S to Z. Once a filter response is described by an equation in the Z-domain, an algorithm is easily derived for implementation. A MatLab example of the response of a simple 1st order low-pass filter described by (AZ)/(Z - B) is shown below. % C or assembly code.